Comprehensive baseball and softball focused sports performance program designed to focus on recovery following tournament weekend and developing fundamental movement patterns and strength for long-term development of baseball and softball athletes. 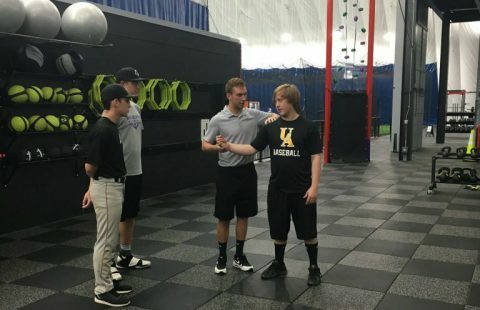 The intent is to provide a venue to work on throwing, hitting, and sport performance in an individualized manner with staff supervision, but not specific focused instruction to allow the athlete to personalize their experience post-tournament weekends. Focus will be on soreness assessment, soft tissue mobilization, joint flexibility, trunk control, movement mobility and core stability. *No cost for all Black Sox, BJE and Blast Softball players.